Two or more words often join to create a conjunctive phrase, which just means a series of words that acts like a conjunction. 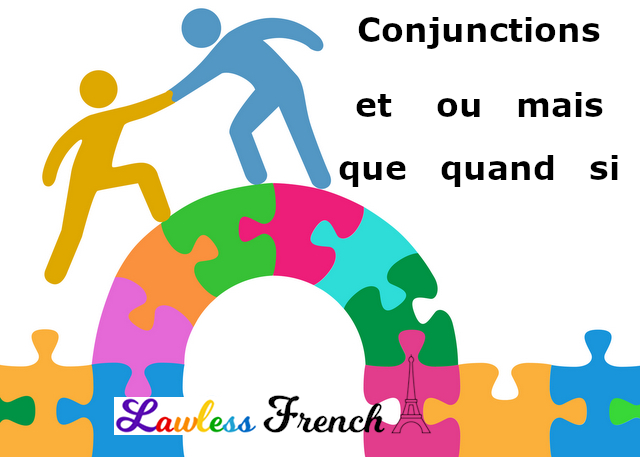 Most conjunctive phrases end in que and all are subordinating conjunctions. On mangera maintenant afin que tu partes de bonne heure. We’ll eat now so that you can leave early. Bien que je sois fatigué, je vais finir ce travail. Even though I’m tired, I’m going to finish this work. I can learn anything in french except these. I can’t never remember which one to use when I need it. Any tips to learn them? I’d say come up with 2 or 3 sentences for each one, and work on memorizing those. I have the same problem. I think it’s due to the fact that the meanings in English are so similar: I’d be hard pressed to tell you the difference between “although,” “even though,” “whereas,” etc. So, maybe the best approach is the group them by similar meaning, and master one group at a time.